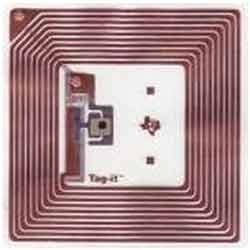 Prominent & Leading Manufacturer and Exporter from New Delhi, we offer RFID -Reader- System such as RFID, Long Range UHF RFID Reader, UHF Reader RFID System and UHF Reader IDT-107. Our organization takes pleasure to introduce its business as one of the leading entity offering RFID Labels. At our unit, we have specialized machines and experienced professionals engaged in developing unique, stylish and appealing printed labels. The labels manufactured and printed at our unit are developed in accordance to set industry norms. Offered labels designed and developed are manufactured using copper printing paper, PET, PE, PVC, BOPP, or as custom requirements. Our association takes joy to present its business as one of the main element offering Long Range UHF RFID Reader. This item is an elite gadget which can read and keep in touch with all labels or cards in a long separation. Despite this, clients can advantage these institutionalized RFID reader from us in variegated models at pocket pleasing expense. 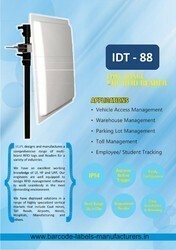 Our organization has increased eminent honors in the field of giving UHF Reader RFID System to the customers. RFID system gives an approach to associations to recognize and oversee devices and hardware without manual information passage. Our offered framework is tried by our quality controllers on different parameters to guarantee its functionality at our client's end.